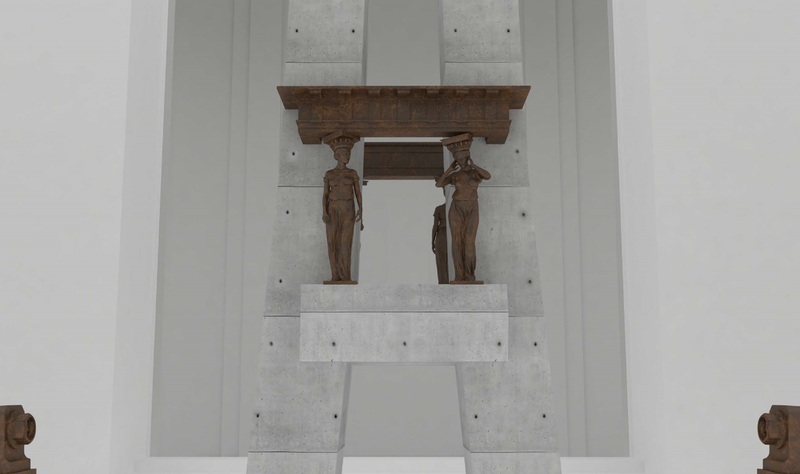 The exhibition PONTIFEX MAXIMUS by Alexei Morozov opens within the special program of the Sixth Moscow Biennale that will start on September 22. The exhibition is a preview of the ambitious project, which will open in the National Archaeological Museum of Naples in 2016. The artist has conceived PONTIFEX MAXIMUS as a futuristic anti-utopia on the theme of union of machine and senses. Alexei Morozov is one of the few artists today that is asserting equality of ideas and forms in his creativity. Combining sculpture, architecture, and engineering, Alexei Morozov managed to find the most compelling artistic image of humanistic essence of art and its metaphysical complexity – a cable-stayed bridge, as the objective and a metaphorical way of inter-civilizational communication. The motif of the bridge is not accidental. It refers to the mythological consciousness of picking up and giving boundaries to the space and being. This is how the artist answers the question, put by the curator Bart De Barre – «Eurasia. How can we live together?». The post-Soviet space, geography, compromised by history needs reconciliation through self-knowledge, building bridges between who we are and who we wish to become. The 6th Moscow Biennale will be a 10-day gathering from September 22 to October 1, 2015, at Pavilion No.1 in Moscow’s VDNKh. More than 70 Russian and international artists and thinkers, driven by the questions of how to gather, how to live together and how to activate new capacities for the future, will try to re-articulate current dimensions of art presentation.